Did you know that last summer, a British nuclear weapons test malfunctioned, veered off course and was heading towards Florida before it was destroyed? 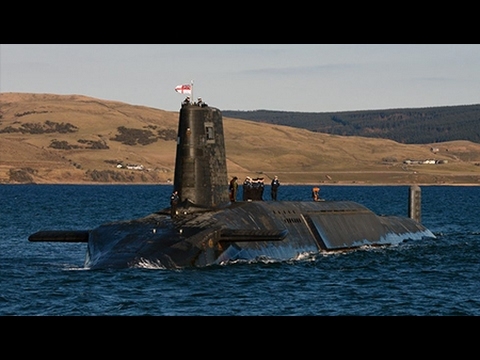 The test was conducted off a British Trident submarine, off the coast of Florida. The test was a part of the UK Trident nuclear missile program. The Sunday Times broke the story last week, as Theresa May was visiting Donald Trump here in the United States. Although the serious malfunction occurred last June, the story is only coming to surface now. According to the Sunday Times, the Conservative government imposed a media blackout on the subject, after the missile misfired. The failed test was kept secret from UK Parliament, as well, and the wider public, until the story broke in the Times. More importantly, the report of the malfunction was not made public during the parliamentary debate, as to whether the $40 billion should be spent renewing the Trident nuclear missile program. Documents from the U.S. Defense Department shows that the Trident missile program has been blighted with problems, and that more than $1.4 billion has already been spent repairing the faults, and modernizing the guidance system of these aging missiles. Theresa May, the UK Prime Minister, was questioned about the serious malfunction and whether she knew about it, when the option to renew the program, was before her in Parliament. This is what she had to say. MAN:	You’ll have seen the story this morning about a Trident misfire that was kept from the House of Commons, and kept from the public. When you made that first speech in July, in the House of Commons, about our Trident nuclear defense, did you know that misfire had occurred? THERESA MAY:	Well, I have absolute faith in our Trident missiles. When I made that speech in the House of Commons, what we were talking about was whether or not we should renew our Trident, whether or not we should have Trident missiles, an independent nuclear deterrent, in the future. MAN:	Did you know that it did happen? MAN:	…It’s a very serious incident. Did you know about it, when you told the House of Commons? THERESA MAY:	…and have a replacement Trident. That’s what we were talking about in the House of Commons. That’s what the House of Commons voted for. I believe in defending our country. Jeremy Corbyn voted against it. He doesn’t want to defend our country with an independent nuclear deterrent. MAN:	…I’m not going to get an answer to this. SHARMINI PERIES:	Well, since that interview, it has been confirmed that Theresa May actually did know about the malfunction. Joining us now, to speak about the significance of the failed nuclear missile test, along with the implications it has for the wider Trident nuclear program, is David Webb. David Webb is the Chair of the Campaign for Nuclear Disarmament, a former professor of Engineering at Leeds Metropolitan University, and is also the convener of the Global Network Against Weapons and Nuclear Power in Space, and a member of the Scientists for Global Responsibility. David, thank you so much for joining us today. DAVID WEBB:	Good to be here. Thank you. SHARMINI PERIES:	So David, I imagine there are many things you want to speak about, in terms of this whole system, as well as what’s transpiring politically in the UK. But let’s start off by explaining to us what this Trident nuclear system is, and what does it do? DAVID WEBB:	Sure. Currently, the UK has just one nuclear weapons system, and that’s the Trident system. That’s a series of submarines, some four submarines, one of which is on continuous patrol all the time, 24 hours every day, somewhere at sea. And it has a number of these missiles on board, each of which has some independently targetable warheads. The exact number is variable, but there’s enough there to cause considerable damage, and start a nuclear war, should they be used. The whole issue, really, is basically about, at the moment, renewing that system. What happens is, although the warheads and the submarines are built in Britain, and developed in Britain, the missiles themselves are actually on lease from the United States. So, it’s a United States missile, and the warheads are basically based on the United States design, as well. So, although what you heard earlier, the Prime Minister was talking about an independent nuclear determent, or nuclear system, nuclear warfare system, actually, it’s not really independent at all. It depends totally on the United States. So, the failure of the missile, off the shores of the United States just a few months ago, was basically a failure of the missile. Not of the components that Britain was responsible for, if you like, … submarines or the warheads. And that’s being used as the excuse as to why it wasn’t really mentioned. But, of course, it’s a fundamental part of the whole system. If the guidance system doesn’t work, then the whole system is completely useless. The most intriguing part of the story, really, is that this test, this failure, happened just a few weeks before some discussion, a big debate in the Houses of Parliament about renewing the Trident system. There’s a new system that the United States is developing, and therefore we are following. And this debate –- sorry –- took place without the knowledge that this misfire had occurred. SHARMINI PERIES:	Now, David, surely mistakes happen, and the very reason why things are tested, is to make sure things are working properly and what’s going wrong, so it could be adjusted and malfunctions repaired and so on. What was the problem with this test that concerns you? DAVID WEBB:	Yeah, of course, that’s absolutely true, and there have been a number of failures in the past, absolutely right, and not all of them have been disclosed. I guess that’s the problem, really. How do we know what’s happening, or what’s not happening, or what’s not being reported, that goes on in secret? So, how do we know, for example, that rather than just a failure of the guidance system, what happened was not something which was subject to a computer hacking event, so maybe it was hacked into. I’m not suggesting it was necessarily, but there’s so much secrecy involved around these things, that we don’t know, really, what’s going on. When you’re playing around with nuclear weapons, which can wipe the world out, basically wipe out life on the planet, this is not something that you really want to be unsure about. We need to be as sure –- if we’re going to have these things, and I’m part of the campaign that says we shouldn’t have them for these very reasons -– then we need to be really sure that we know what’s going on with them. Where they are and what they’re doing. SHARMINI PERIES:	Right, and why all this secrecy, the media blackout, and the failure to report this during the debate? What are the political implications of this, and what’s the political fallout from it? DAVID WEBB:	Well, at the moment, as you heard in the answer the Prime Minister gave –- she was really basically trying to avoid the question and going on to something else –- accusing the leader of the opposition that he didn’t want to defend the country. That’s not what he said at all. He’s not in favor of nuclear weapons because of their complete destructive power. The fact that they wipe out huge areas of… they could end up, as I mentioned before, if there’s a wholesale nuclear war, with the extinction of life on the planet, basically. So, these things are not defensive. They’re totally aggressive, totally destructive, and they should really be done away with from the planet altogether. SHARMINI PERIES:	I’m going to be continuing this discussion with David Webb. Please join us for segment 2. SHARMINI PERIES:	Welcome back. I’m speaking with David Webb about the significance of the failed nuclear missile test, along the coast of Florida that was headed for Florida, and the implication of the wider Trident nuclear program. Thanks for joining us again, David. SHARMINI PERIES:	Now, David, one of the things that is interesting is, that the British people voted for the Brexit, and one of the arguments that was used is really about the UK’s autonomy, and functioning as a nation state and its independence, in terms of its institutions and decision making. But, the UK does not even have authority to use this Trident system without the permission of the President of the United States. What do you know about that, and does this mean that there will be greater merger between the United States and UK when it comes to military might and exercises, and also in terms of potential wars going forward? DAVID WEBB:	Yeah. I think that’s absolutely right. We’ve been arguing in our campaign, The Nuclear Summer, for many years now that it’s not an independent system, it’s totally reliant on the United States. It’s unbelievable that any of the missiles would be fired without the okay of the U.S. president, as you mention. Even though we’re continually told by the military, and by the government that that is not necessary. The okay of the U.S. president isn’t necessary. But I can’t see that that would ever happen without that kind of acknowledgement, without that okay. And so, not only that, but the Trident system that we have, is basically part of the NATO system too. It’s kind of handed over to NATO as part of their military operations, as well. So, it’s not independent of NATO, it’s not independent of the United States, it’s part of the western kind of militarism that’s been building up over the last few years, since the Cold War. And it’s these kind of things that are not really debated properly in the Parliament in Britain. The only debate we’ve had, just recently, is the one about renewing the system, and that wasn’t really properly informed. And that’s the whole point, that’s the reason why there’s so much roaring at the moment, because the Parliament itself thought that information that should have been disclosed is being withheld for political reasons. And that seems quite likely. Obviously, there are people who will be saying that national security’s at stake. You can’t give away too much, etcetera, etcetera, but a clear statement saying that there has been a test failure, that these failures have happened before. That things are being improved, etcetera, etcetera, should have clarified the situation. And it would not have changed the vote, I don’t think, because there was a big majority in favor of renewing the system. So, it’s not really understandable why it was kept secret. SHARMINI PERIES:	Right. And what is the actual cost of it? I know that Parliament was debating whether the $40 billion should be approved, to update and bring it to some standards. But your organization, the CND, says that $205 billion is the cost of the Trident system, which is it? DAVID WEBB:	Well, yeah, it’s 205 billion pounds, actually, which is, I don’t know… The pound is not worth as much as it was, but it’s a lot of money. At one time it would have been nearly $300 billion, I guess. But that’s over the entire lifetime of the whole system. So, over maybe 10, 15, 20 years, spread over that period of time. So, the initial $40 billion you mentioned, that would be the initial payment for the first half of that. But then there’s payments every year that have to be made on upkeep, on new components that are required to build up the system, etcetera, etcetera. So, over its whole lifetime it would cost 200 billion pounds. Not only we say that, but also parts of the government itself said that. A Conservative MP who is part of the Defense system has worked that out with his team as being the true cost of the system. And it’s probably likely to go up far more than that, as well, over the next few years. SHARMINI PERIES:	Right. It seems to me that the Conservative Government of Theresa May is relying on the defense industry to really boost the economy. Recently she also signed a deal with Turkey, in terms of providing arms and weaponry to Turkey. But, many people claim that this is actually a good thing. It creates a lot of jobs, these kinds of Trident systems, and it encourages investment, and so forth. What’s your view on that, and can we scrap the Trident system, and still create jobs in the economy? DAVID WEBB:	Yeah, I would suggest that if you scrap the Trident System and put the same amount of money into something else, then you’d actually create far more jobs. Because these are kind of intensive financial packages, these high tech systems, you don’t create very many high tech jobs with huge sums of money, whereas in other industries you can create far more. So, for example, if you switched from making armaments to something like, renewable energy systems, solar panels, etcetera, etcetera, which is something that we need anyway to combat climate change. Then you would create far more jobs, and become far more productive, and far more environmentally friendly and put the world in a safer position, I think. So, those are the arguments. There are a number of jobs, the jobs aren’t a huge number of jobs, and in the past other things haven’t stopped governments from closing down whole sections of industry, like the coal industry here in Britain. The steel industry is closing down in Britain, too. And you’re right about the emphasis on armaments, and we were one of the top sales people in the world, for selling arms and materials to other countries. Saudi Arabia is another big customer, as Britain, in terms of armaments. And we’re becoming rather embarrassed, ashamed, of what they’re relying on, in order to survive in the global system. I think we can do a far better, far more environmentally friendly, create a far more secure world by doing something quite different. SHARMINI PERIES:	Indeed. David Webb, I thank you so much for joining us today, and looking forward to following these issues with you in the future on The Real News Network. DAVID WEBB:	Thank you. Thank you very much. SHARMINI PERIES:	David Webb is a Chair of the Campaign for Nuclear Disarmament. We’ve been speaking with him and thank you for joining us here on The Real News Network.